191.—Arms and costume of the Tribes on the Western Shores of the Baltic. 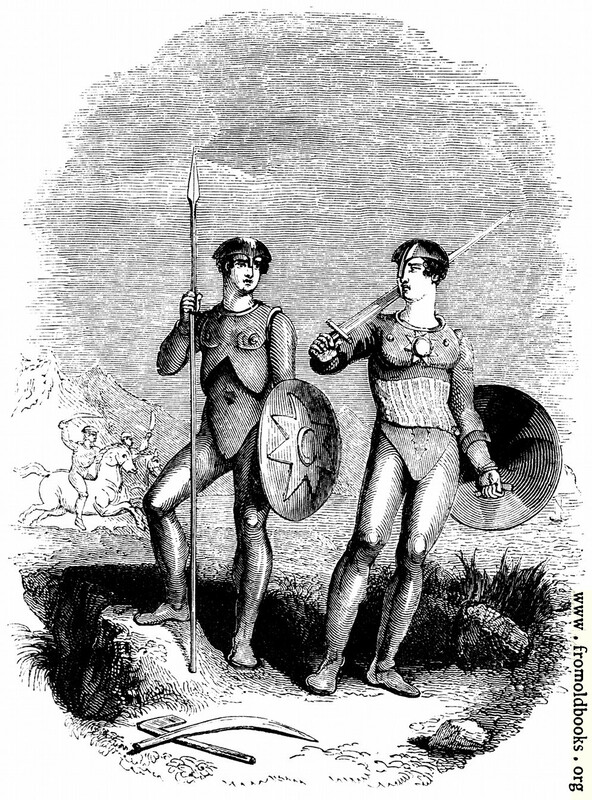 Two young men are dressed as soldiers, with metal plate armour (or possibly leather armour). One has a spear or javelin, and the other a sword; both have shields and helmets. In the foreground a curved sword and an axe; in the background two soldiers ride horses and brandish their weapons.